…In 2013, my best friend Jami convinced me to finally bite the bullet and join the CrossFit gym she had been touting for at least 9 months. I had no idea what it was, all I knew was that I missed my running buddy and if she was loving it so much, then I’d give in and give it a try. Long story short, I was immediately hooked!! After a few personal training sessions I was ready to join the regular classes and seemingly overnight, I began to dedicate all my extra time to it. Crossfit had everything I needed and wanted in a workout and in an overall fitness lifestyle! It was like nothing else I had ever tried. I was able to gain lean muscle all while working on functional movements that would not only help me keep up with my crazy kids, but certainly help me on my backcountry hunts. I saw quick results dropping 10 lbs. in no time at all and for the first time in my life I could actually do not only one pull up but four! After two years of this changed lifestyle, Casey finally joined and started Crossfit as well. He would hit a morning class first thing and I stuck to the afternoons like I always had and occasionally we would fit in a class together. It was great to now share this lifestyle together, supporting each other and encouraging each along the way. Not long after Casey joined, our gym owners announced that they would be downsizing and moving the classes back to their main fitness center in the neighboring town. 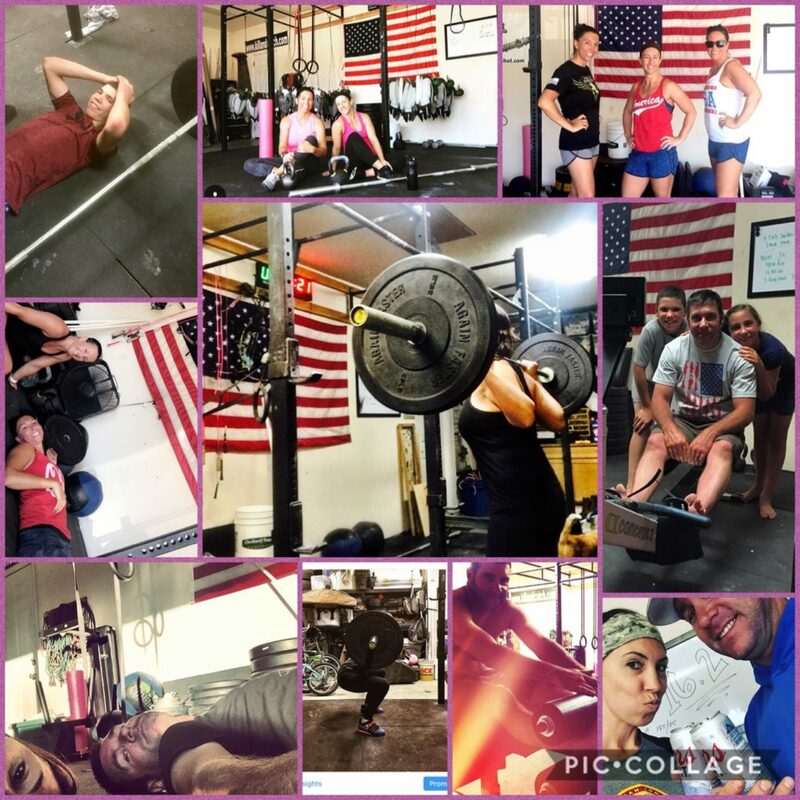 Some of our beloved coaches would be transitioning while others would not and the move was doable and no big deal to others while some of us felt like our little Crossfit Family was being destroyed and would never be the same. It was tough. Change is always hard, but the move made it much harder to fit classes into our family’s routine. Although both of us gave it our all and tried like hell to make it all work, it just didn’t. So 2 months after the move and 3 years of consistent Crossfit style workouts, Casey and I said a very sad farewell to our beloved Crossfit gym and family. We were sad but knew it was the right thing to do for our family at the time. We also knew that wasn’t the end to our Crossfit journey!! Casey and I made a promise to each other that we would slowly buy Crossfit equipment for our garage and continue working out together. Within 6 months we had a rig and two barbells and a good amount of weight to throw around. We continued to add equipment a little at a time all while following the programing of a few different Crossfit Affiliates. Soon, it became our new norm, but it hasn’t been easy. 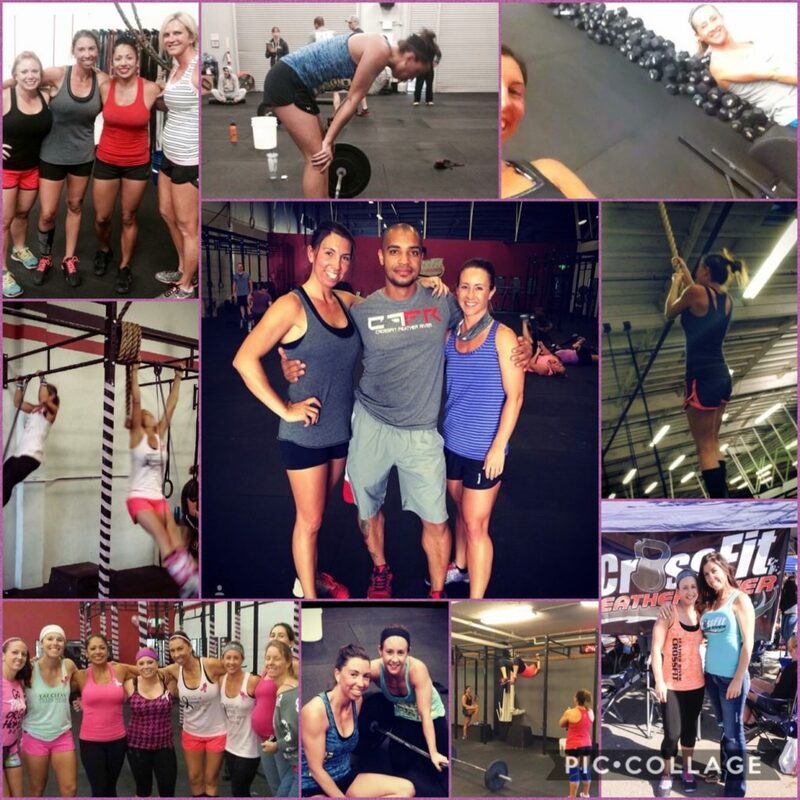 I really missed, and still do, the socializing and camaraderie of my Crossfit Family and Casey and I’s schedules don’t always allow for us to workout together everyday. This makes it extremely difficult to find my inner drive to get through some of those challenging WOD’s. I found myself cherry picking certain workouts or scaling and dropping weight, when I truly didn’t need to! I was cutting corners and I was getting frustrated with myself and Casey too! He was supposed to keep me motivated! He was my gym family! That is when Street Parking came into play and my all time favorite Crossfit Athlete, Miranda Oldroyd, would become my Coach! Street Parking has been a lifesaver to our gym life! A home based gym – Crossfit style program! A daily workout that can fit the equipment that you own, a virtual community that you can rely on to keep you engaged, and Coaches that make you feel like they really do know you and care even if you’ve never met face to face! I would recommend this program to any and all proud crossfit garage gymers! Now I thought I’d also add into this post a little disclaimer. I can’t do any of this without good supplements. 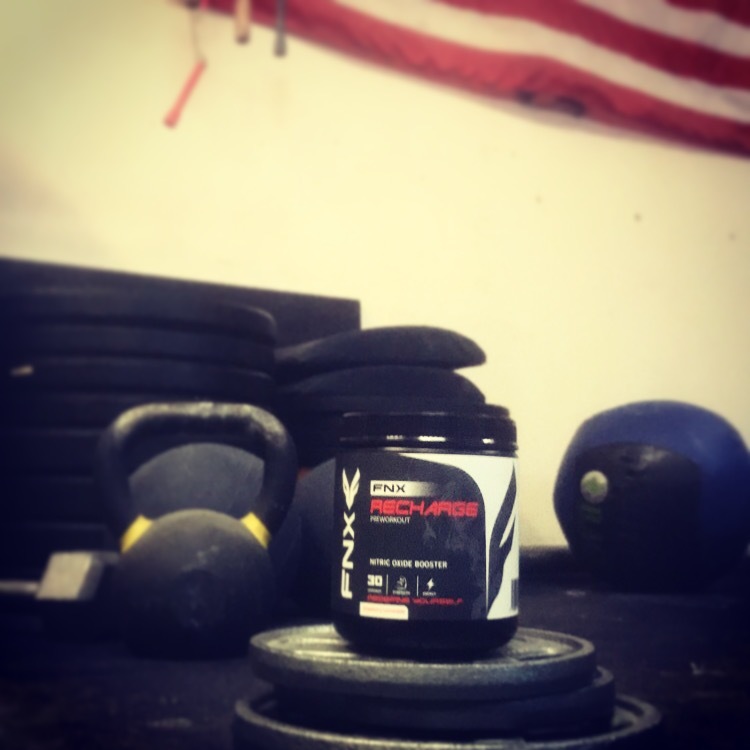 Throughout my Crossfit journey I have seriously tried and used over a dozen different supplement lines and individual products. I’ve tried the recs from gym friends, I’ve listened to the reps from several big Crossfit companies, and I’ve even bought and tried a handful of the supps pushed by the ever so “social media popular” hunting industry companies. Let me just say, I have never been impressed with any of them. At least not impressed to stay loyal. That is, until about 6 months ago when Margaux Alvarez, another of my favorite Crossfit Athletes, reached out to me asking me to to give a new product line a try. Margaux had been following my garage gym journey through Instagram and thought my lifestyle would compliment the mission of FNX Fit! So I told her I would give the products a try and see what I thought of them after 60 days. That was 6 months ago and I am so happy that she introduced me to this company. I am not going to write a long boring sales pitch about the FNX Fit products I use daily, but I will tell you my favorites with a little bit of why. Pre-Workout Supplements and I are not always friends. I can’t tell you how many I have tried over the years. Honestly, I hate the ones that make me feel like a tweaker with the worst case of crank bugs ever and don’t allow you to sleep for days! Yeah, no thank you! And just the same, I really hate to waste my money on pre-workouts sups that do nothing noticeable. A little energy boost with an added kick of focus with an increase to my strength and endurance is exactly what I need and FNX Recharge is the ticket! When timed right, this supplement truly keeps me engaged and motivated even on those tough days, that quitting just seems so much easier! Crickets are yummy! Especially in Protein Shakes! Whey protein upsets my tummy. Always has. So whey protein products aren’t really an option for this girl. FNX Restore cricket protein does not taste any different and it makes my tummy happy! Plus it is jam packed with soooo much nutritional value and a protein shake right after my workout each day holds me over until dinner and feeds my muscles what they need! Just read the label and you will see….Love it! SLEEP! I don’t get a lot of sleep, regularly, the mind just will not shut off! Some nights, I get out of bed and get some work done. Some nights, I get out of bed and take a sleep aid! This sleep aid. All natural, no grogginess the next morning, and it doesn’t completely knock me out! I don’t take it every night, just those nights when you know that sleep is not going to come easy! It helps calm the anxiety and nerves for sure. It’s like a glass of wine in pill form. FNX Relax is an awesome product. So now you know the how and why of our garage gym life. I’ve kicked around the idea of featuring some of our workouts on the blog. Who knows maybe it would help motivate another at home fitness / garage gymer! Let me know in the comments if you would want to read a tad more about our day to day workouts. I’m happy to share if people will actually read them. Until then, the best workout is a hike in the mountains, so pack up the fam and head for the hills and Live Long in the Outdoors!